Philadelphia rapper Freeway has taken into account the year end's heavy hip-hop showing with an announcement that he will release a brand new song every day for what he calls a "month of madness." The project, known as "The Freeway Change," will end with 31 songs available for free download at his official site. According to a post on AllHipHop.com, "the rapper aims to counteract a Hip-Hop culture he feels has 'become more dependent on sales, marketing and imaging, rather than the quality and value of the music itself.' 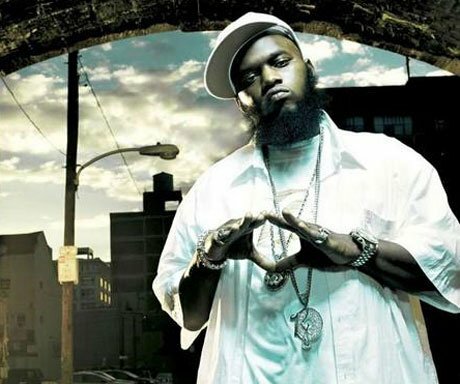 Still, Freeway remains optimistic that his move will set a precedent among other artists to bypass the corporate red tape of major labels to put their art unaltered directly in the hands of the people. During the month, Freeway will pay close attention to fan feedback and adjust his content accordingly. If successful, he plans to follow up with another "Month of Madness" or possibly a full-length LP/album." It truly is a sign of the times when a full-length album is only a "possibility" compared to the promise of free downloads - 31 of them.